Not all the men’s magazines of the 60s and 70s that often featured Lee Marvin were of the ‘girlie’ variety. There were some that have recently been enjoying a resurgence and are often categorized under the genre of ‘sweats.’ These quickie monthly mags integrated pulp art & fiction more so with the occasional pictorial as the reader will see below. This one, True Action from March, 1968, didn’t even mention Marvin on the cover…. but then again, why should it? The cover art alone is what sold it off the newsstand, with plenty of action and promiscuity teasing on the outside and fulfilling the tease on the inside. 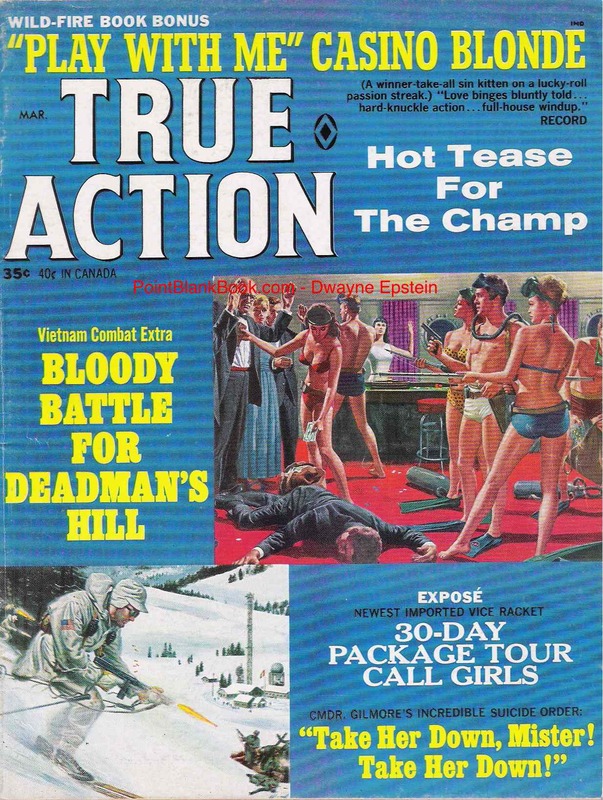 Cover of True Action, March 1968. 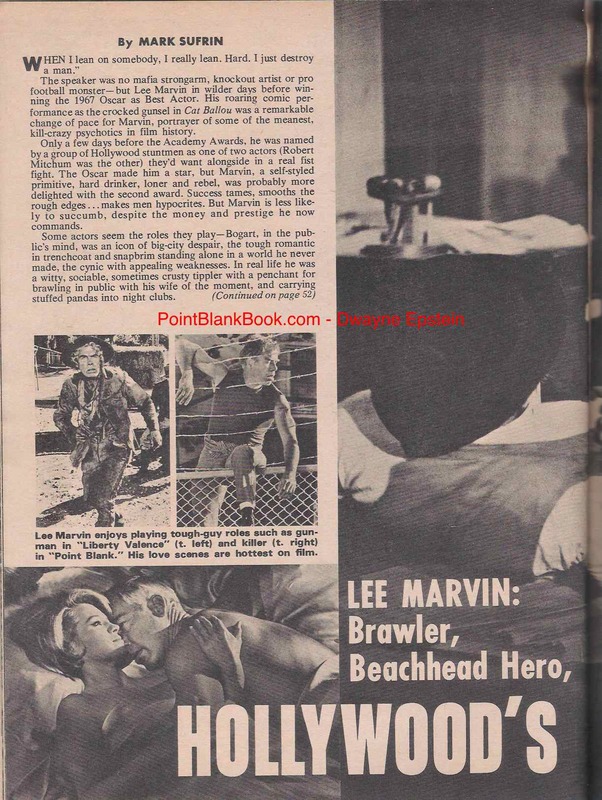 First page of a March ’68 issue of TRUE ACTION featuring Lee Marvin. 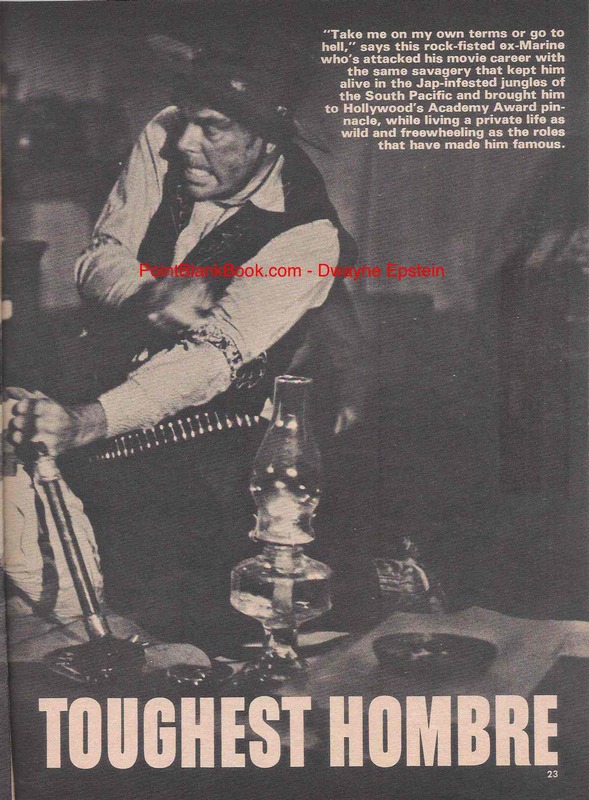 Facing page of True Action’s Lee Marvin profile. 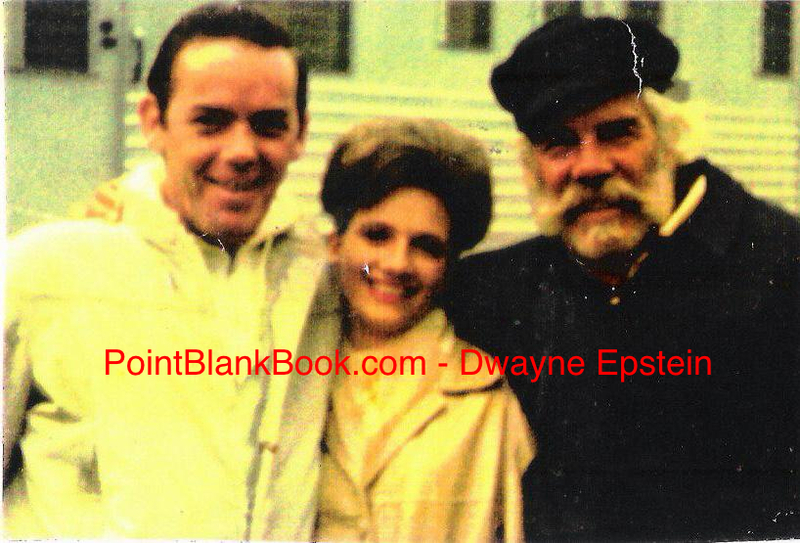 In researching Lee Marvin: Point Blank, some of the most intriguing stories about the man were related to me by individuals not necessarily know by the general public. Case in point: Ralph O’Hara. 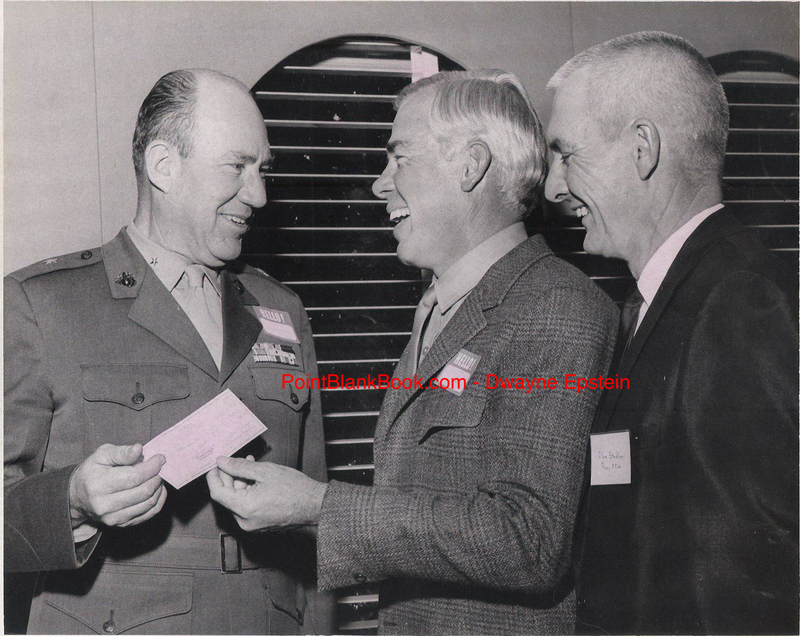 O’Hara was a legend around the bars of Malibu and Santa Monica and as such, he just had to have some good Lee Marvin stories to uncover. Anyone who’s read Lee Marvin: Point Blank knows how true that is. He was also willing to relate his poignant perspective to the end of Lee’s life (pp. 243-244). 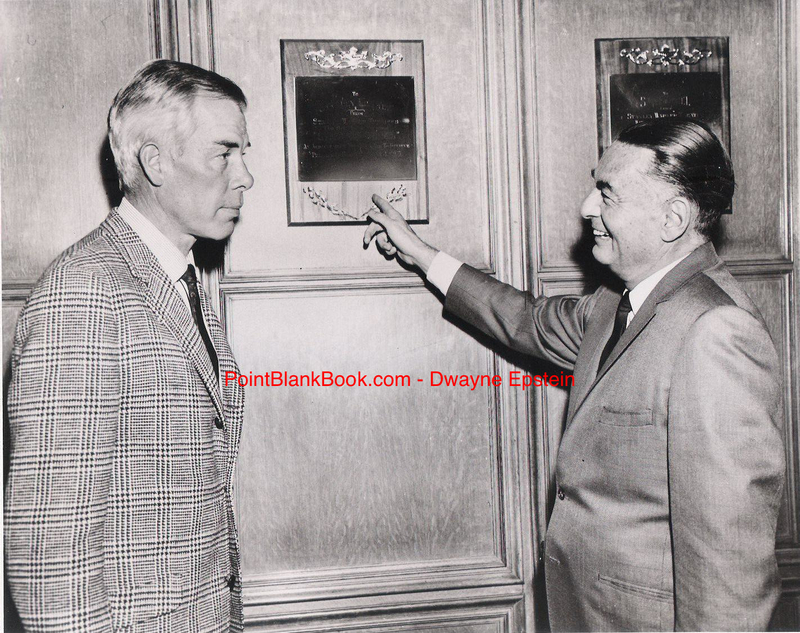 I can also say that after Christopher Marvin read my book he told me that the next time I see or hear from Ralph that Chirstopher has the $20 he owes him for lending him gas money from Tucson back to Calif after after his father’s funeral in 1987. Unfortunately, I long lost contact with Ralph, who apparently moved down South after he retired from bartending. During the time I was in contact with Ralph O’Hara I constantly badgered him for a picture, especially for one with him and Lee. I haranged him for several months but he kept insisting his lawyer would not allow it. Go figure that one out. One day, in the mail, I received the image above. Too ragged to be used for the book, I present the photo here for your perusal. Ralph, if you’re out there and can see this, I thank you once again!